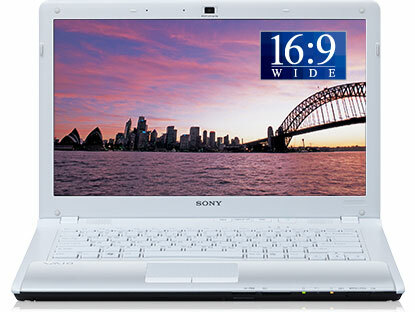 Expect more from, Sony Vaio CW. I was really happy when I first heard Sony wanted me to advertise for them one of their new series of notebooks, cause I'm actually a fan of theirs!!! I'm someone that goes for the outer appearance/looks more than anything else! Well, of course, their performance and the functions of it must also be at a acceptable standard lah! But best if it's as good as how they look! And to me, the notebooks of Sony has that! their notebooks also perform really well. 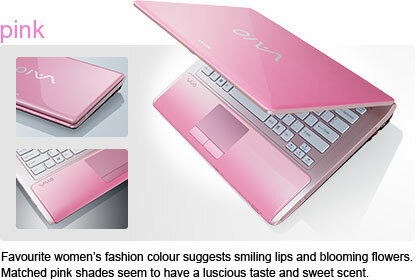 That's why I own one of their VAIO, which I bought early this year! 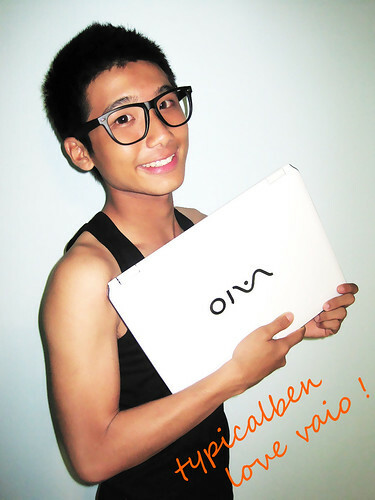 A happy user of Sony VAIO! No no no! But I'm not going to introduce you guys my VAIO! The new, Sony VAIO CW Series!! Which I went to try it out at their Sony Style outlets the other day and I can tell you that the new VAIO CW Series is much much more powerful!! And it can perform better than ever, on top of their pretty looks! 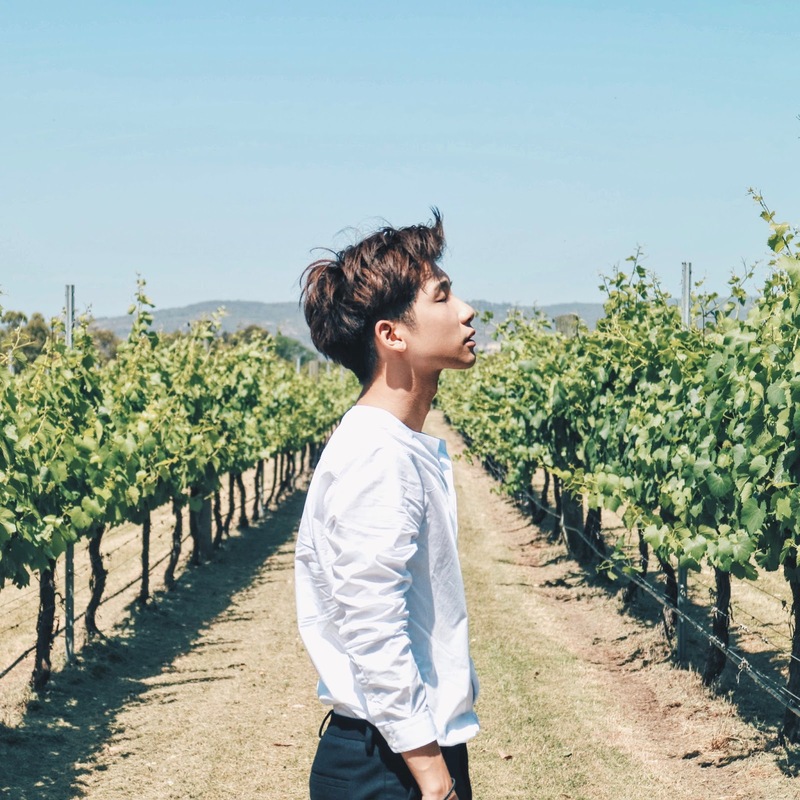 You can now choose among the 5 that suits your personality the best! And for me, I'll again choose the white one over the rest!! And they seriously should come out with a notebooks that is in orange man!!! Confirm it will be a blast and I'll be the first to purchase it!! Ha! 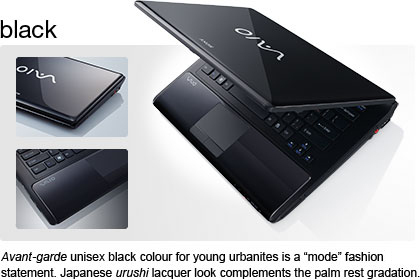 I quite like the colour gradated palm rest which they have (my notebooks doesn't have it! improvision! ), that matches the colour of the exterior! Now with colour gradated palm rest! Alright alright, enough about the looks!! Cause not everyone is that superficial when it comes into getting a notebooks as they would want a notebooks which can perform well!! 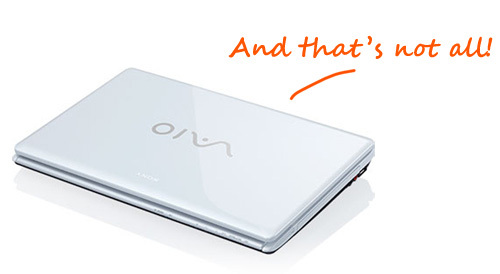 So I'm here to tell you afew awesome stuff this new VAIO CW Series can do! 1. 14-inch Real Wide Display for HD enjoyment! 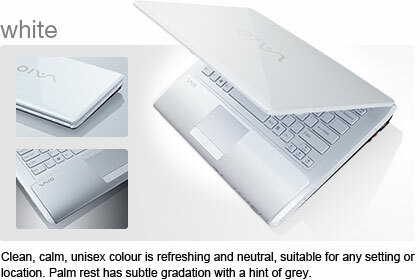 VAIO CW Series comes with a 14-inch wide display and a 16:9 widescreen images! So now you can watch all movies/videos without any letterbox at all! And if you don't understand, it means that there will not be any "black coloured spaces" on the top or below of the screen! It'll be full screen display! 2. Comes with the latest & powerful graphic card! 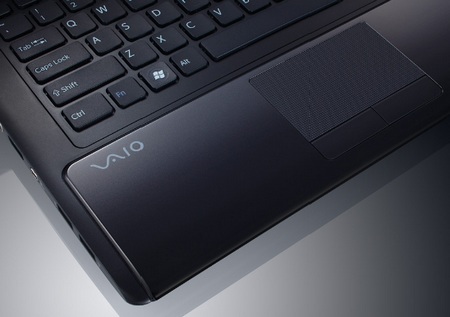 It's using the high-performance NVIDIA® GeForce® GT 230M graphics processing unit (GPU), so now you people can don't need to worry about gaming using VAIO CW Series (even 3D gaming can be played!) cause playing on it will be at ease! Not forgetting about videos too! 3. Able to connect to TV for viewing! VAIO CW Series has a HDMI output, where you can connect it to any TV and screen any pictures, movies or videos to your family and friends! I think this is pretty great! With that you can practically watch any videos with a bigger screen (your TV) than your notebook! I mean, you can easily show to a group of people rather than them squeezing infront of your notebook fighting to watch! 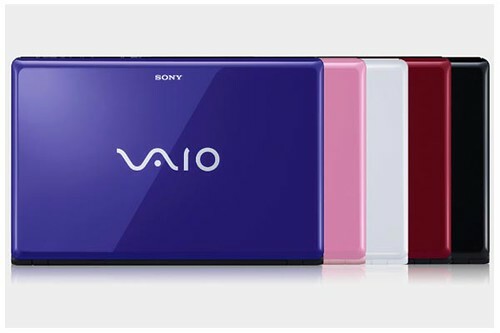 Other than the must-have: built-in camera, software, microphone, bluetooth and Wireless LAN.. Sony VAIO CW Series have this new 3 buttons! Which I'll leave it for you all to find out more about them!! So do check their site out if you want to know more details and the specifications on their new Sony VAIO CW Series!!! p/s: One thing about Sony VAIO is that they've got their own VAIO Media Gallery Software installed free for us! Where we can play, edit music, videos or pictures all in one single platform! Mad innovative!